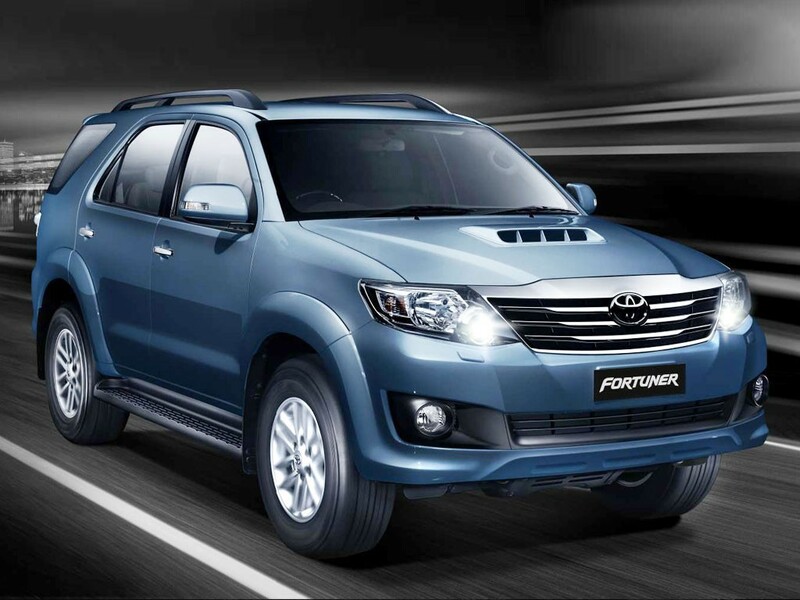 Toyota has unveiled the brand new Toyota Fortuner which is powered by 2490 cc , 4 cylinder engine. The Fortuner is capable to deliver 142 bhp @ 3400 RPM and a torque of 343 Newton metres @ 1600-2800 RPM. The Car is being offered in 2 versions 5-speed manual or 5-speed automatic transmission. New Toyota Fortuner 2.5L has only rear wheel drive ( RWD) and there is no all wheel drive (AWD). Whatever features which you find in 3L Toyota Fortuner are present in 2.5L version except the cruise control, voice navigation system and HID Headlamps. The 2.5L version of Fotuner is available in 2 colors:- Silver metallic and Super white. Hyundai Santa Fe, Chevrolet Captiva are the potential rivals for Fortuner. The Manual transmission version of 2.5L Fortuner is priced at 24.44 Lakhs., while the automatic transmission version of 2.5L Toyota Fortuner is priced at 25.44 Lakhs.